Here at Indigo Sky Print Solutions, we are always looking at improving our service and offering to our clients. A big part of our business is working to reduce waste and ensuring that our paper and print products are as eco-friendly as possible. A little while ago, we got to vote with one of our main suppliers to make their laminated products biodegradable. We voted yes. 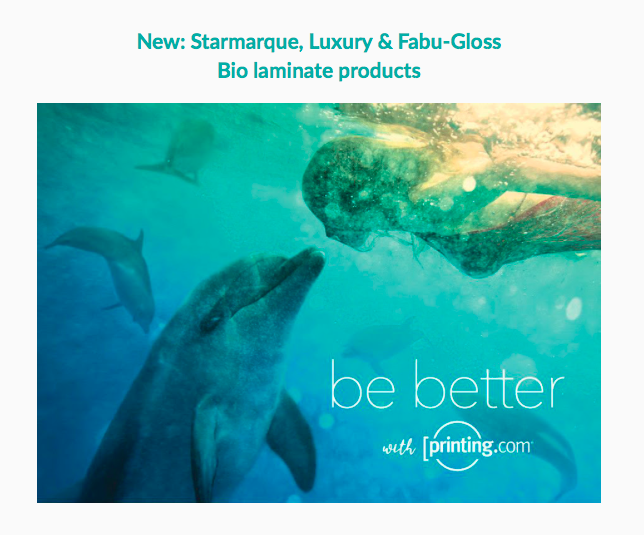 We are pleased to confirm that from 1st August, 99% of all of the laminated products that are produced by us will be made using the new biodegradable laminate. Whether it’s gloss or matt laminated business cards, folders, spot UV, leaflets or brochure covers… We are helping to save the world.